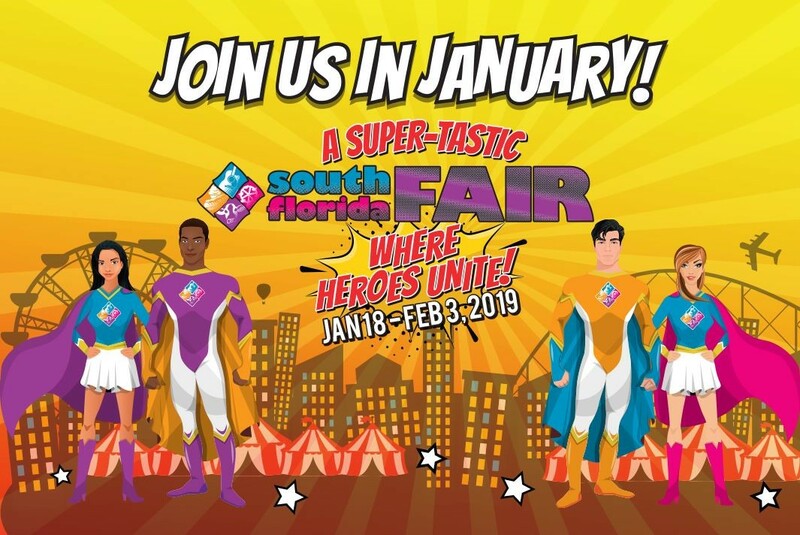 Once again this year the Annual South Florida Fair opened with much festivities and excitement on Friday January 18th, 2019, and will run for three weekends until February 3rd, 2019. This year’s theme is ‘Superheroes’. Since 1912 each January, over a half million visitors enjoy 17 fun-filled days at the South Florida Fair, one of Florida’s oldest and largest community events. Fair-goers are entertained by first class stage shows, national concert performances, sensational midway rides, unique shopping and the best of fair food. From children to adults, many of us have used our imagination to dream of possessing extraordinary or superhuman powers. That’s the stuff of superheroes and honoring them is what the fair has chosen as the 2019 Fair theme. As you enter the gates, you will experience the New York of the Marvel Universe. Marvel Entertainment even has an actual office there on 135 W. 50th Street. Because New York is such a big city and a melting pot of different people and cultures, it is the most densely-superhero-populated city in the Marvel Universe. Climb the Spider-man wall, walk through Batman’s Batcave, and expect plenty of photo ops! The Super-hero Multiverse will be featured as an immersive 3D experience of lights, color, and sound. Get ready to play your favorite superhero video games and experience the latest in VR technology! 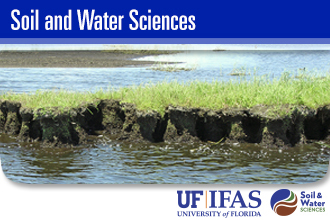 This year marked the fourth consecutive year that Dr. Jango Bhadha, along with a team of student, faculty, and staff volunteers, organized a booth highlighting University of Florida – Soil and Water Sciences Department, focusing research and outreach efforts in the field of Sustainable Agriculture. 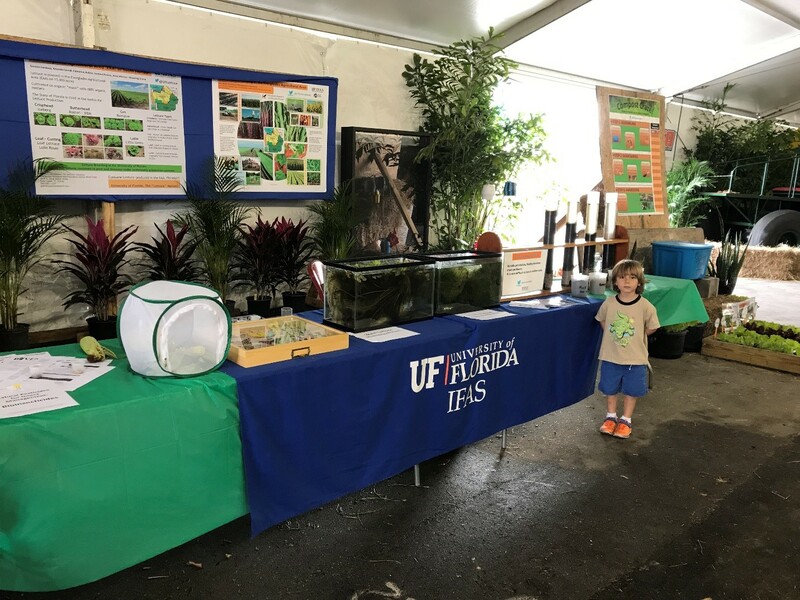 Some of the topics covered at the booth include soil sustainability, backyard composting, aquatic vegetation, insects of Florida and lettuce varieties. From toddlers to great-grandparents, on any given day the booth attracts between two to three hundred people curious to learn about farming in the Glades. Our goal is to reach out to folks within the community and educate them on topics related to soil sustainability, nutrient management, water quality, pest management, and vegetable production. 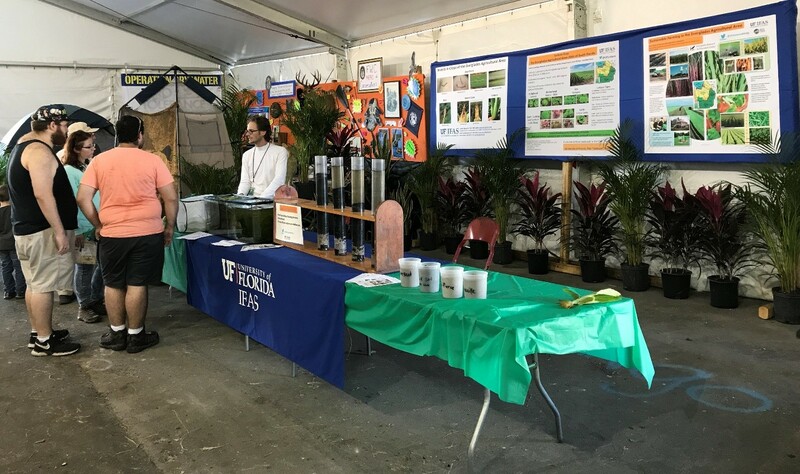 The University of Florida Palm Beach County Extension staff are also present at the fair to provide information related to commercial and urban agriculture. 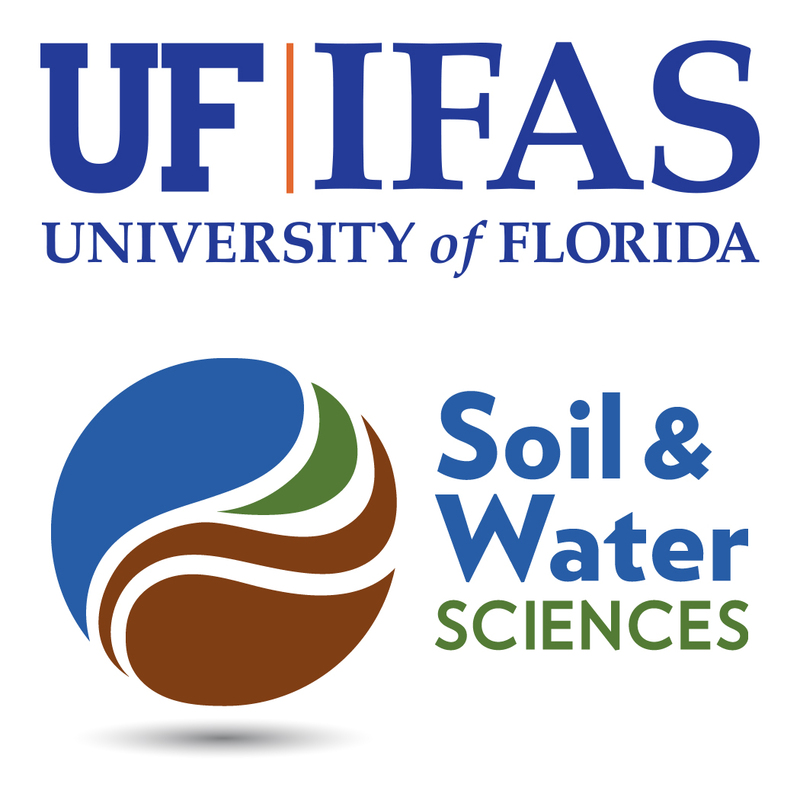 Hope you stop by or you can follow us daily for the next few days on our twitter @UFSustainableAg.